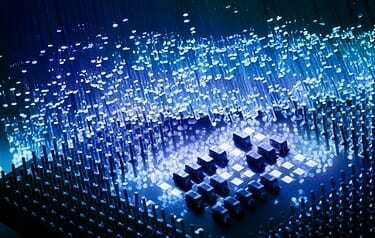 The research, published in Advanced Optical Materials, has the potential to allow faster and smarter optical computers capable of learning and evolving. The project, funded under Singapore’s Agency for Science, Technology and Research (A*STAR) Advanced Optics in Engineering programme, was conducted within The Photonics Institute (TPI), a recently established dual institute between NTU and the ORC. April 13, 2019 - Human brains would act like computers and provide instant access to information International Business Times, Singapore EditionThe research report revealed that human brains could easily access information from the internet in real time. March 27, 2019 - The Godfathers of the AI Boom Win the Turing Award WIREDYoshua Bengio, Geoff Hinton, and Yann LeCun pioneered work in artificial neural networks, paving the way for self-driving cars and facial-recognition software. April 12, 2019 - Scientists say our brains will connect to computers in decades to form the 'internet of thoughts' Daily MailForward-leaning scientists and researchers say advancements in society's computers and biotechnology will go straight to our heads — literally.